Will you be attending our June meeting? The PostCom Study Day Meeting will take place on Tuesday, June 4. Members and Guests are encouraged to attend! 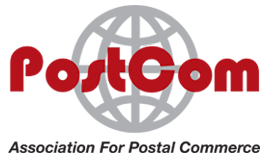 Representing those who use or support the use of postal services for Business Communication and Commerce. "You will be able to enjoy only those postal rights you are willing to defend."